Employment contract – a document on which to base the relationship of a specific worker with a specific employer. In the employment contractmust contain information on place of work, work performance, the period for which the concluded employment contract, wages and other substantive conditions of employment referred to in article 57 of the Labor code. There is often a need for significant change in conditions, reflected in the labor contractE. for Example, the employee increases the wage, or the employer and employee instead of the military decided to conclude an employment contract for an indefinite period. In this case a valid employment contract entered changes. Article 72 of the labour code contains a provision stating that the terms of the employment contractand may be modified only by agreement of the parties. That is, the initiative for such changes can come from one of the parties. For example, a worker asks about the increase of wages, or the employer offers the employee another job. However, the coercion to change the terms of the employment agreementand is unacceptable, although sometimes practiced by employers in one form or another. Coming to an agreement about changing conditions of the labour contractand the parties – employer and employee – make out his writing. As a rule, such agreement shall indicate which paragraphs of the employment agreementand are subject to change, they are presented in a new edition. If the employment contract entered multiple changesallowed the presentation of the employment contractand in the new edition with the date that starts to act in this new edition. The documents are important clarity. So in order to make the change in the employment contract, you must be careful. 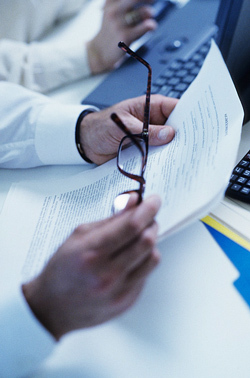 It is important to observe all stages of the translation and to properly prepare all the necessary documents. This will avoid many misunderstandings and troubles. employment contract, a statement of the employee, order. The change in the employment contract may be made when transferring an employee to another position, change of salary, place of work, as well as in the event of a change of other essential terms of the contract provided that future changes will not lead to the deterioration of the situation of the employee compared to the Labor code and other legislative acts. Changes are made by signing an additional agreement to the employment contract and the order. The basis for making changes to an employment contract is a statement of the employee after his acquaintance with all the terms of the upcoming changes. If this increase of salary statement of an employee is not required. The application must be written to the higher officials of the organization or its structural unit, and also contain the surname, name, patronymic, position of the employee with the indication of division, the essence of the statements (about the transfer to the new position, the transfer to a new place of work, etc.). Under the text of the statement shall be signed by the employee and the date. The document is in the process of sight in accordance with the internal rules of the organization, but it must be signed by the highest ranking person or the person fulfilling its duties. On the basis of statements of the employee (or the orders of higher officials, if the salary increase) shall make the agreement to modify the employment contract. The agreement must be made in the same form as a Treaty. For a labour agreement is a simple written form, and therefore the agreement must also be filed in writing. The agreement must specify the time and place of its signature, surnames, names, patronymics and positions of the signatories, and the number and date of the employment agreement. In the text, specify all the main points which must be reached agreement. The agreement is compiled in two copies (one for each side) and affixed signatures and seal of the organization. On the basis of the additional agreement is drawn up the order. The unified form of the order no. It is made in any form, but must have a number and date, signature and senior officials, as well as the signature of the employee confirming his acquaintance with the order.